Chateau Coulon Laurensac: almost three centuries young! Just outside Bordeaux, this 18th century Château is the perfect starting point for tours in all the famous wine regions of the Bordeaux area. 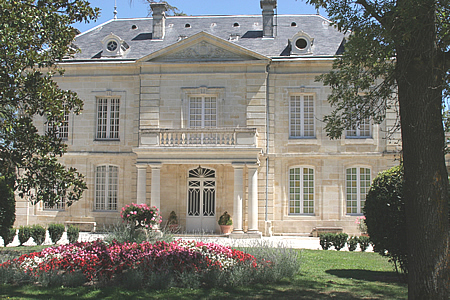 During your tour with the Bordeaux Wine Experience you’ll stay at the beautiful Château Coulon Laurensac. The stately château is situated in the Bordeaux wine-growing region and has beautiful views of the park with the rose garden and the vineyards surrounding the property. Chateau Coulon Laurensac is proud to have been selected by the Michelin guide, as well as by the Alastair Sawday’s “Special Places to Stay” guidebook. In fact Chateau Coulon Laurensac celebrated its 290th birthday 2014. In the almost three centuries of its existence, only 7 different families have lived between her limestone-walls. But as you will discover especially the first owner of the chateau has a gripping story. It is almost impossible to comprehend that this man -some 290 years ago- used to sit and drink wine in front of the same fireplace like we do every day now. 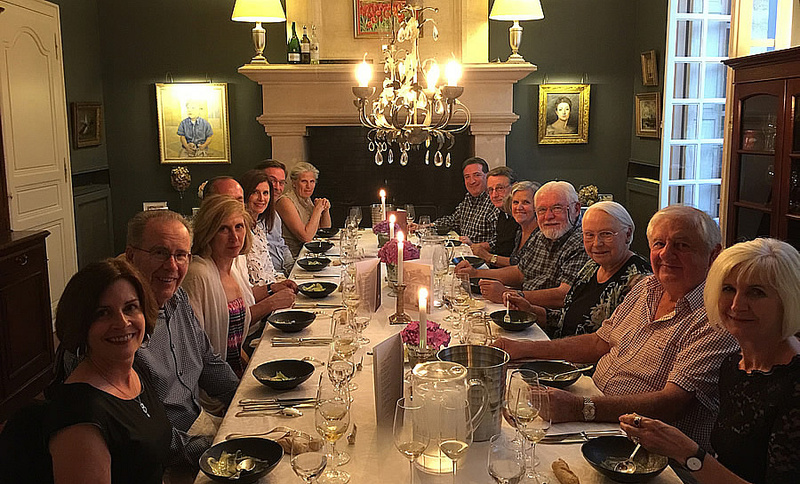 Living in a French chateau is a great experience and a privilege and we are thankful to be part of this fortunate and select group. And just six times per year we open up our home so you can enjoy this Chateau Experience with us. 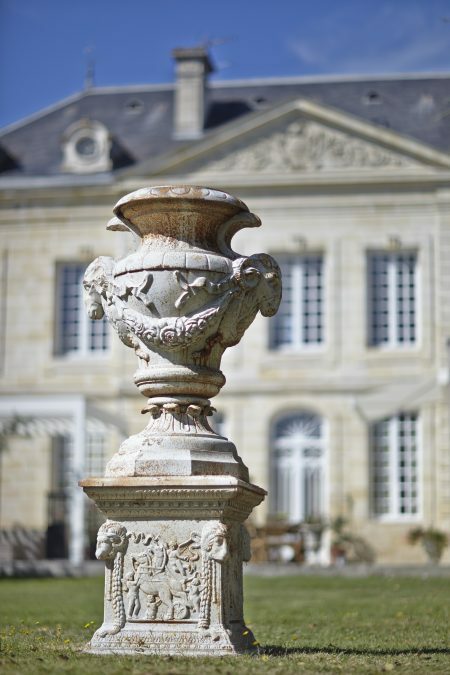 When you join a Bordeaux Wine Experience with us you have the privilege to stay at Chateau Coulon Laurensac. This chateau is our home and just a few times per year we open it up to our guests. We acquired Chateau Coulon Laurensac in 2001. Our real estate agent could tell us little about the history of the property. Only that it used to be a wine producing estate. Luckily our new neighbors were able to help us to find out more about the history of the houses on le Bord de l’Eau (the riverbank) that gave Bordeaux its name. Starting out with some pointers they gave us Margaret was able to research the archives of Bordeaux for the history of Chateau Coulon Laurensac. The history of the name of the Chateau can be traced back to the 14th century. Clergymen of the Saint Eulalie parish owned land in Maydieu and d’Orensac.In 1715 Joseph Bertrand de Roberic, the Great Chancellor and Provost of Guyenne acquired the land called Coulon Laurensac and constructed a house in 1724. According to the tradition a noble house like this was called a bourdieu. By deed a bourdieu is a farm estate comprised of a noble house, housing for the winemaker and staff, an above ground cellar (called a chai) and a cuvier. Other buildings, vineyards and gardens could also be part of such an estate. Well-off citizens built country estates to cultivate hay to feed their horses and cattle, to create vegetable gardens and to cultivate vineyards of course. Joseph Roberic had some money to spend. He was the Provost General of the Generalité of Bordeaux, the local head of the military police. His job was to collect taxes and keep law and order for King Louis XV. In 1764 Chateau Coulon was sold by his daughter Margaret (!) and her siblings to Francois Felix Batanchon, an ancient naval captain turned négociant (wine trader). He renovated the house, the farm buildings and the vineyards. Two more families enjoyed the beautiful surroundings of Chateau Coulon Laurensac until in 1842 Eugene Beyssac , another wine merchant, acquired the chateau. He owned several other properties along the riverbank. These properties were all sold after several years, except Chateau Coulon Laurensac. Eugene offered the chateau to his daughter Marie Anne as a wedding gift in 1868. Five generations of Beyssac continued to live in Chateau Coulon Laurensac before it is sold again in 1960. And it was in 2001 that Ronald and Margaret acquired Chateau Coulon Laurensac. Over the last 100 years, some plots of the surrounding grounds had to be sold to pay the steep French inheritance taxes. The vineyards of the property were uprooted after World War II when the property’s size was reduced to its current 12 acres (5ha). The kitchen was the heart of the home since the early days. The large fireplace posed in the north wall provided warm meals and heating. 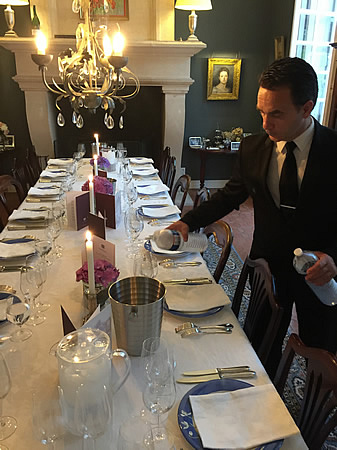 Today we use this room as our dining room and on our tours you can join us here for an unforgettable farewell dinner. You’ll dine in front of the same fireplace as Roberic used to with his family. 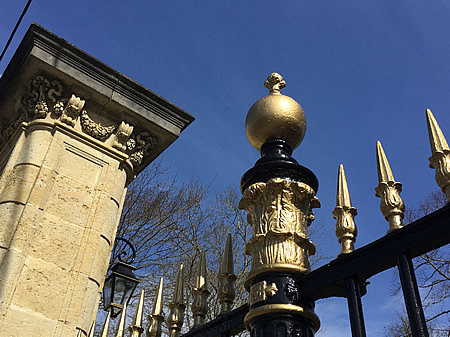 There are several letters that remain of guests that stayed over the centuries in the country estates on the Garonne riverbank, speaking of their experiences. It seems like nothing has changed these last three centuries.